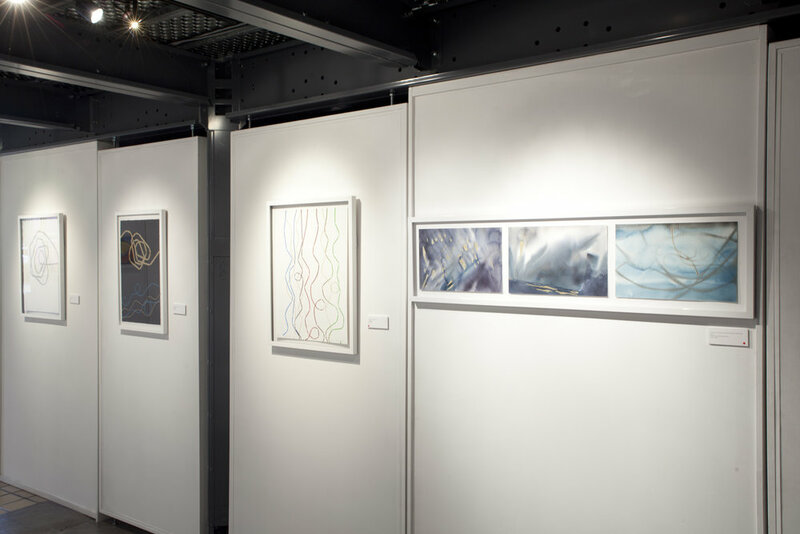 Anne Patterson’s Airidescence – abstract watercolor paintings, hanging ribbon sculpture, a wire installation and prints – transforms Alfstad& Contemporary into a magical, multi-sensory realm where viewers experience Patterson’s integration of two worlds: art and music. 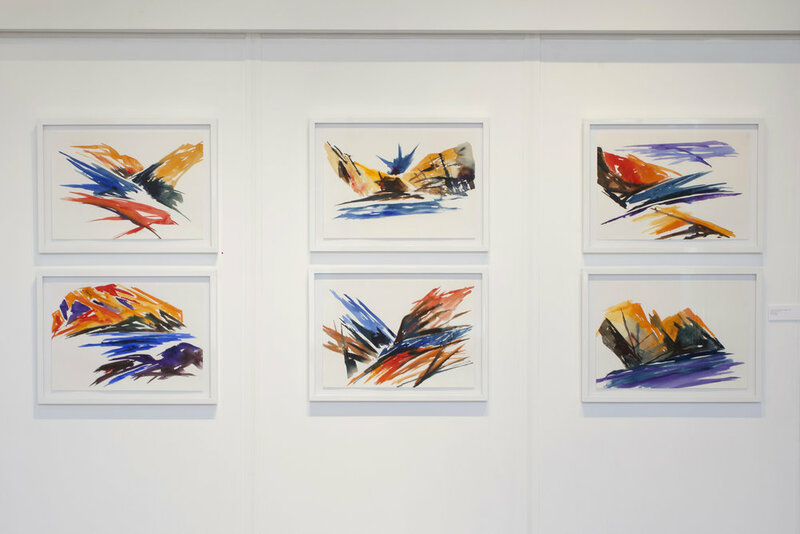 Due to synesthesia, a neurological condition in which the stimulation of one sense causes an involuntary response to another sense, Patterson hears color and sees sound. 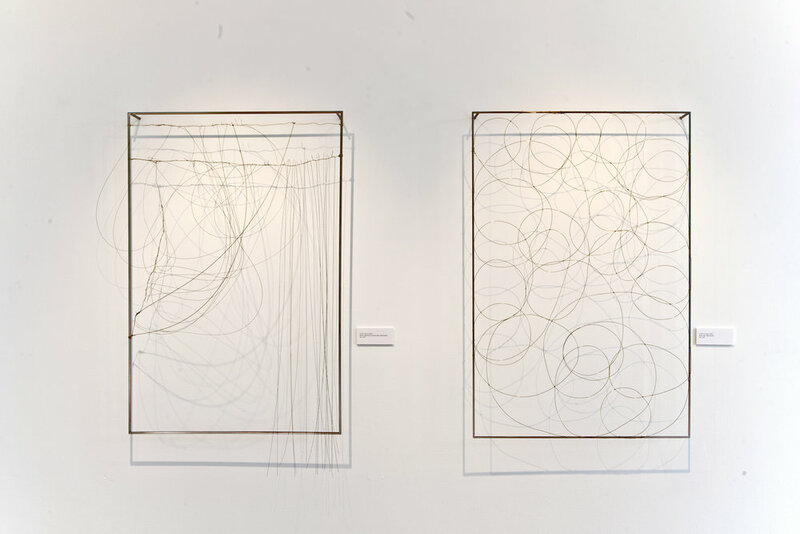 Patterson has another site-specific installation currently showing in Sarasota. Pathless Woods, at the Keith D. and Linda L. Monda Gallery of Contemporary Art at the John and Mable Ringling Museum of Art through April, 2017, is an interactive, family-friendly exhibition that invites visitors to find their own path through a forest of ribbons. “It’s like swimming through color,” says Patterson. 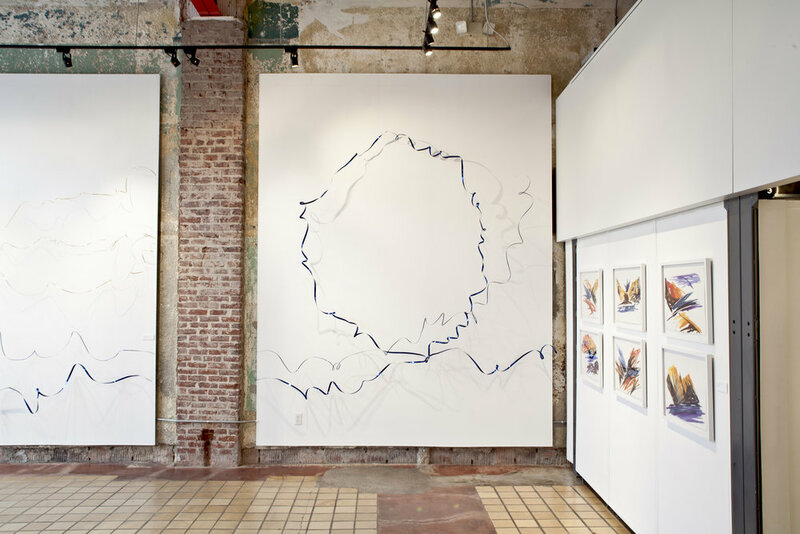 Based in New York, Patterson exhibits throughout the US and Europe. 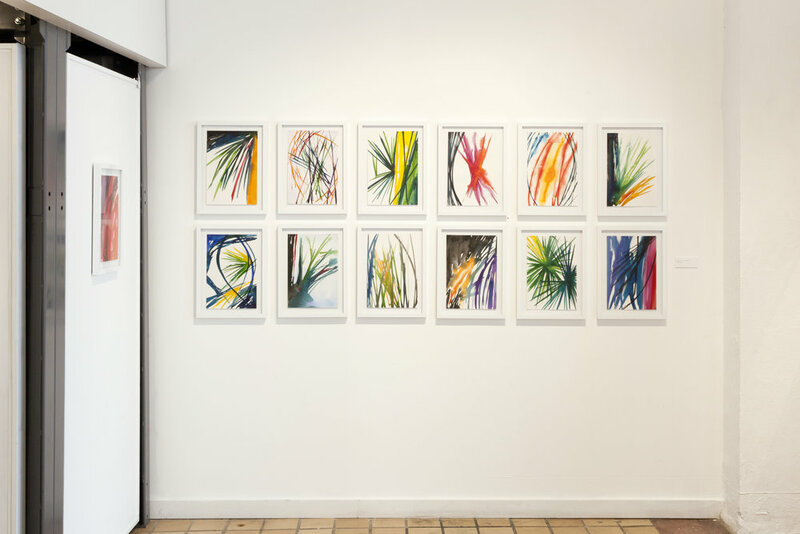 Her paintings and sculptures are not only in many private, public and corporate collections, she has created installations consisting of scenery, projections and lighting for major orchestras across the country, including the San Francisco and Atlanta Symphonies, Philadelphia, Chicago and American Symphony Orchestras and the New World Symphony in Miami.